To celebrate the holiday season, love-ryeowook is giving away a little something in a Christmas quiz event on Dec 25, between 9pm and 10pm KST. Here’s how it works. 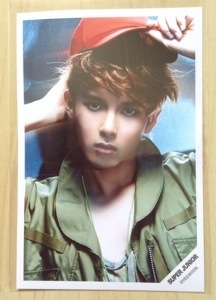 We will post five questions related to Ryeowook on our Twitter account @weloveryeowook at 9pm. You have one hour to send in your answers by email to: weloveryeowook@hotmail.com. The quiz closes at 10pm KST (time for Sukira!). Two winners will be selected among those with all correct answers. 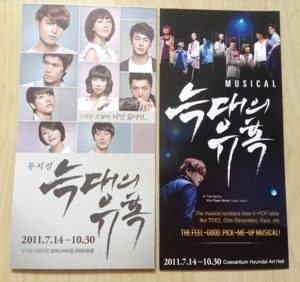 Each person will receive three Everysing photos of Ryeowook and two brochures from Ryeowook’s first musical, Temptation of Wolves. This event is not restricted by geographical location, ie. anyone from anywhere on Earth can take part, as long as they have a postal address we can send the gifts to.